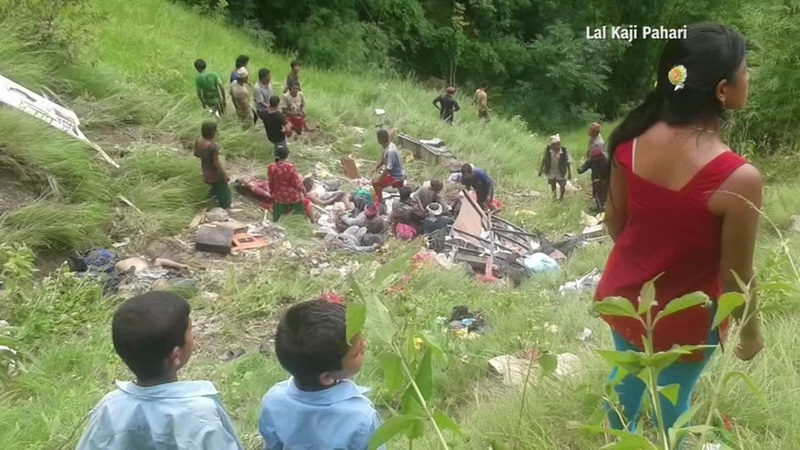 KATHMANDU, Nepal -- A government official says at least 33 people died and 28 others were injured when an overcrowded bus veered off a mountain highway in Nepal. Home Ministry official Chiranjivi Nepal said the injured people were brought by helicopter to Kathmandu and are being treated in two hospitals. The bus veered off Arniko highway Monday and rolled about 150 meters (500 feet). Parts of the bus, bodies and luggage were scattered on the forested slopes below the highway. Army and police rescuers were still combing the slopes near Deurali village, 80 kilometers (50 miles) east of the capital. Bus crashes are generally blamed on poorly maintained roads and vehicles in Nepal. Much of the crashes happen during the rainy monsoon season that begins in June and ends in September.